Campus hours: 7:00 a.m.-6:00 p.m.
Before care is available starting at 7:00 a.m.
Aftercare is available until 6:00 p.m. If you need more information, or if you would like to schedule a tour, please contact the campus director, Melanie Morillo at 240-453-9047. Or you can send us a message. The Woodley Garden Director since 2013, Melanie Morillo gives children, as well as their parents, the best guidance, support and foundation for a bright future. Extending the opportunity for open dialogue with families is a crucial component to her supervision method. These personal relationships are important when parents entrust their children to Georgetown Hill Early School. 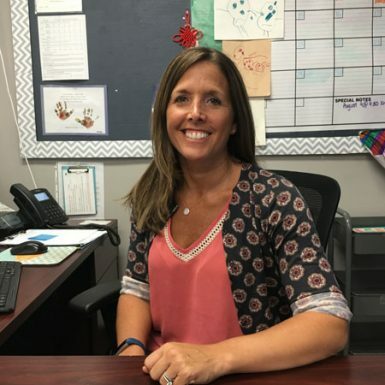 Part of the school for 15 years herself, Melanie has seen firsthand the warm, caring and family-like atmosphere and is very intentional about extending that same culture. She has grown both personally and professionally with the tools and support to help equip and mold a child’s self-esteem for the next generation. Copyright © 2016 Georgetown Hill Early School. All Rights Reserved.